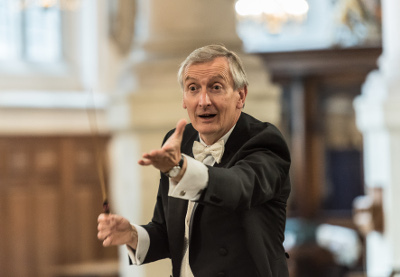 Neil Ferris is the Director of the BBC Symphony Chorus, Artistic Director and conductor of Sonoro, and has been the Music Director of Wimbledon Choral Society since 2009, helping to establish it as one of London’s leading amateur choirs. Jeremy's compositions have been performed in concert halls around the world, and he was recently surprised to discover that his music has even reached the silver screen. His arrangement of Bach's 'Bist du bei mir' is featured on the French film 'Polisse', which won the Jury Prize at the Cannes Film Festival in 2011. After studying at the Guildhall School of Music and Drama Bob worked as a musician and teacher, returning to Guildhall to teach in the Junior Department from its inception and becoming Head of Wind Brass and Percussion in 1985 — a position he still holds today. As a performer he plays regularly with the London Mozart Players and has worked with every major professional orchestra in London. In the early 1980s Bob founded the Brandenburg Sinfonia, the first of a group of orchestras under his artistic direction, which now also includes the Brandenburg Brass and Brandenburg Baroque Soloists. Playing regularly both in this country and abroad, one residency, at St Martin-in-the-Fields, gave him the idea for a Choral Festival based around some of the most beautiful churches in London. Starting in 2009 with six concerts at St Martins, the Brandenburg Choral Festival is now one of the largest and most significant Choral Festivals in the country. This year the Festival boasts over 120 choirs and concerts, covering the standard masterpieces of the choral repertoire along with jazz, barbershop and gospel, also making it one of the most varied and inclusive choral festivals. In 1991 Bob was made a Freeman of the City of London for services to music — an honour which allows him to drive a flock of sheep over London Bridge... something he fully intends to do one of these days. In his spare time he is passionate about cricket, red wine and jazz, although not necessarily in that order! 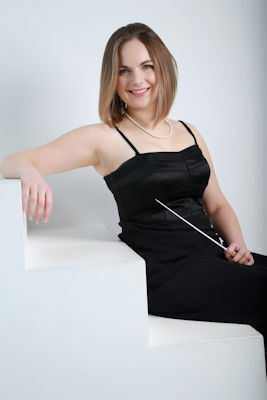 Joanna Tomlinson is the Music Director of London-based Constanza Chorus and Assistant Director of Farnham youth Choirs. With Constanza Chorus she has recently conducted Brahms Requiem with the London Mozart Players and Mendelssohn Elijah at Cadagon Hall and mass at St Peter's Basilica in Rome. She also directs the Constanza Chamber Choir. Joanna will be taking up the position of Musical Director of Farnham Youth Choirs in July 2016. The senior choir is an award-winning upper voice choir, who won two gold medals in the 2015 European Choir Games in Magdeburg. She is former Music Director of the Reading University Choirs and has worked with some of the UK's top choirs including Manchester Chamber Choir, London Symphony Chorus, Joyful Company of Singers, Royal College of Music Chorus, East London Chorus, Excelsis Chamber choir, The Whitehall Choir, Trinity Laban Junior College Choirs, and Wimbledon Choral Society. She has studied conducting with Neil Ferris and Peter Hanke, and at Sherborne Summer School under George Hurst. She has participated in masterclasses with Paul Brough, Patrick Russell, Peter Broadbent, Michael Reif and John Dickson. Joanna is also a professional singer and studied at the Royal College of Music, where she gained the post-graduate diploma in singing with Distinction. 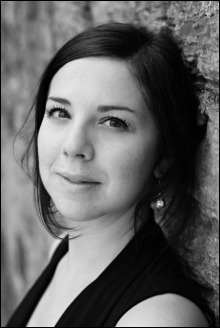 Joanna has appeared as soprano soloist in all the core oratorio repertoire. As a choral singer, Joanna works with BBC Singers, Philharmonia Voices, Britten Sinfonia voices, Gabrieli Consort, Le Consort D'Astrée and Sonoro. Joanna has taught singing dor over ten years and has also worked as a choral vocal coach. She has taught at Bedales School, Trinity Laban Junior Department and Royal College of Music Junior Department and worked as vocal coach to the Polish National Youth choir. 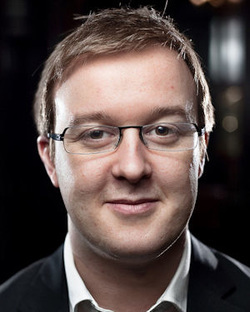 Benedict Lewis-Smith was organ scholar at The Queen’s College, Oxford (2007–2010), and prior to this was awarded a place as a specialist musician and organ scholar at Wells Cathedral School, Somerset. He is now Director of Music at St Columba’s Church, Knightsbridge and combines this role with a substantial freelance career in London including vocal coaching, accompanying and conducting. He currently conducts the office choirs of BNY Mellon, Fidelity International and News Corp. He has broadcast on BBC radio 3, and recently recorded on the digital label Resonus Classics and Regent Records. Recent performances include recitals in the Victoria International Arts Festival, Gozo, and a concert tour of Buenos Aires, where he delivered classes in English song to the students at the Departamento de Artes Musicales y Sonoras. Max Barley was a chorister at King’s College, Cambridge, and later organ scholar of St John’s College, Oxford, where he read Modern Languages. 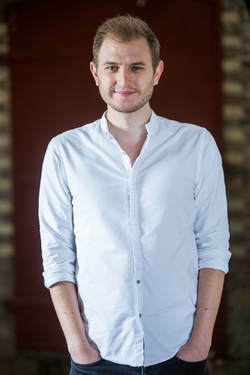 He has studied conducting in London and at the Hochschule für Musik und Theater, Munich, where his teachers have included Neil Ferris, Michael Gläser, Denise Ham, Ralph Allwood and Martin Neary. ​He is Director of Music at St Mary’s Wimbledon, Principal Conductor of Guildford Chamber Choir, Music Director of Choir of the 21st Century, Eltham Choral Society and Wimbledon Youth Choir. He was formerly Assistant Director of Tiffin Boys’ Choir and Trinity Laban Chapel Choir. Recent and forthcoming highlights include St Matthew Passion with Nicholas Mulroy and members of the OAE, and Verdi Requiem in Southwark Cathedral. He has worked on choral courses in UK and China, including Eton Choral Courses, National Children’s Choir and National Youth Choir of Wales. Tristan Frederick Allan Fry is a British drummer and percussionist. Fry began his career by joining the London Philharmonic Orchestra as a timpanist at the age of 17. He was a founder member of a number of ensembles, including the Nash, Fires of London and the London Sinfonietta. He also worked as a session musician with various pop and rock artists such as The Beatles, Frank Sinatra, Olivia Newton-John, John Martyn, Elton John, Nick Drake, and David Essex, among others. Fry was percussionist on the Beatles' "A Day In The Life", contributing timpani to the song's two orchestral climaxes. He also played in various other recordings including TV and movie soundtracks, and as Tristan was the timpanist with the Academy of St. Martin in the Fields Orchestra he has performed on many of their recorded works and concerts. From 1979 - 1995 he was the drummer with the progressive rock group Sky with John Williams, Kevin Peek, Francis Monkman, Herbie Flowers and later Steve Gray when Monkman left to pursue other projects. It was during this period that he attained a reputation as a live drummer, with a revolving double 'Premier' Kit, long drum solos in tracks such as "Hotta" (from the album Sky 2), "Meheeco" (from the album Sky 3) and "Son of Hotta" (from the later Cadmium album). Fry could be seen playing timpani at the Royal Wedding of Prince William and Kate Middleton in 2011. 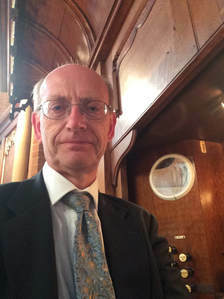 Simon Gregory studied music at Christ Church, Oxford under Simon Preston and Francis Grier and organ with Richard Popplewell, Nicholas Danby and Anne Marsden-Thomas. He is Head of Lower School at Emanuel School, Wandsworth and administrator and accompanist for the Association of British Choral Directors Advanced and Intermediate Choral Conducting courses. 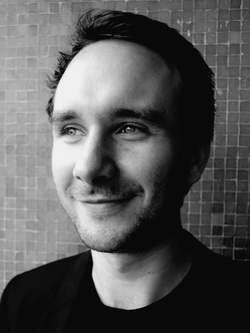 Simon has acted as tutor and accompanist on Sherborne Choral Conducting courses in addition to accompanying Sherborne Choral Courses with Jeremy Jackman. As well as giving organ recitals throughout the UK, he has accompanied various choirs in concerts, workshops and at services in many English Cathedrals. 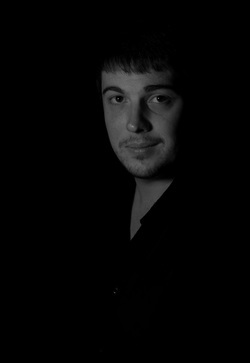 He is also a past council member of ABCD and has held posts as Musical Director with several choral societies. Nicola Rose gained a BMus (Hons) degree in piano accompaniment from the Royal Welsh College of Music and Drama. She continued working at the college as a Junior Fellow in Accompaniment on the MA Opera Performance course for two years. In 2012 Nicola completed her studies as a trainee at the National Opera Studio in London. Nicola has a passion for education, outreach and community work and has worked as a pianist for the Welsh National Youth Opera and more recently for the Royal Opera House, Garsington and Opera Holland Park youth and community departments. Based between Wales and London, Nicola works as a freelance pianist, repetiteur and teacher. Will Todd’s music is sung and loved all over the world. A composer of great fluency, his work encompasses choral works large and small, opera, musical theatre and orchestral pieces, as well as jazz compositions and chamber works. His 2003 mass setting Mass in Blue has been performed extensively worldwide; many times with the Will Todd Trio and Will at the piano. He has collaborated with award winning choirs The Sixteen and Tenebrae, as well as with the BBC Singers, BBC Concert Orchestra, The Halle Orchestra, the English Chamber Orchestra, Opera Holland Park, Welsh National Opera, The Bach Choir and The Genesis Foundation. His discography includes best selling choral discs Lux Et Veritas and The Call of Wisdom (Tenebrae; Nigel Short), Alice’s Adventures in Wonderland (Opera Holland Park) and Mass in Blue, all on the Signum Classic label. His music is regularly broadcast on Classic FM, as well as on BBC Radio 3. Will Todd’s music is valued for its melodic intensity and harmonic skill, often incorporating jazz colours, and his choral music is much in demand from amateur as well as professional performers. He has worked extensively with community choirs, children’s choirs, youth choirs and church choirs, writing a large body of approachable liturgical music and directing regular workshops in the UK and internationally. Notable works include the operas The Blackened Man (2001), Alice’s Adventures in Wonderland (2013), Sweetness and Badness (2006), the oratorios Saint Cuthbert (1995), Ode To a Nightingale (2011), Rage Against the Dying of the Light (2014), The City Garden (2013), The Burning Road (1996), the musical The Screams of Kitty Genovese (2010), choral works Mass in Blue (2003), Requiem (2009), Te Deum (2008), Jazz Missa Brevis (2015), My Lord Has Come (2012), The Call of Wisdom (2012), and orchestral pieces Concerto For Emma (clarinet concerto 2015), Suite from Isambard Kingdom Brunel (1994) and Violin Concerto (1996). In 2016 he collaborated with the former children’s laureate Michael Rosen to create Lights, Stories, Noise, Dreams, Love and Noodles, a work commissioned by The Bach Choir for youth singers, choir and band. Will Todd grew up in the city of Durham in North East England, where his grandfather worked as a coal miner. He now lives in the South East of England with his family. Her 2011 work The Shipping Forecast (commissioned by the Portsmouth Festival Choir), gained national media attention. Cecilia says "There's something rather beguiling and mysterious about the Shipping Forecast which sounds so poetic, but at the same time is very crucial to people at sea". The work reflects the mystery and force of the sea, drawing together the poetry of Sean Street, the psalm 'They that go down in the sea in ships', and the words of the shipping forecast itself. Recent projects include Some Corner of a Foreign Field, scored for choir and orchestra to mark the centenary of WW1, setting texts from WW1 poets plus references to poems by Dulwich College alumni Sir Ernest Shackleton. Night Flight, scored for SSATB and solo cello marks the centenary of Harriet Quimby's pioneering journey across the English Channel. She sets text by Sheila Bryer relating to the mysterious power of the sea, earth and air. Cecilia was awarded the 2014 British Composer Award (Choral category) for Night Flight. McDowall's works are regularly broadcast on BBC Radio and readily available on CD. A new choral disc, featuring the City of Canterbury Chamber Choir and soprano Rachel Nicholls, was released on the Dutton Epoch label last year. Three Latin motets have been recorded by the renowned American Choir, Phoenix Chorale, (Chandos); this recording, Spotless Rose (Hymns to the Virgin Mary), won a Grammy award in 2010 for 'Best small ensemble performance' and was nominated for 'Best Classical Album'. 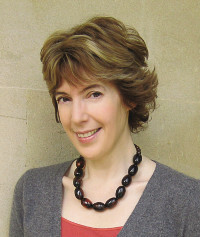 Cecilia has recently been signed by Oxford University Press and is currently Composer-in-Residence at Dulwich College. Hailing from Monmouth, Andrew studied at the Royal Welsh College of Music and Drama and is a recent graduate of the National Opera Studio. He studies with Gary Coward, supported by the WNO Sir John Moores Award. Roles at RWCMD included Fenton Falstaff, Albert Albert Herring and Schoolmaster The Cunning Little Vixen. Operatic engagements have included Novice Billy Budd with the St. Endellion Festival, Lechmere Owen Wingrave with British Youth Opera, Major (cover) Patience with English Touring Opera, Kekikako Bataclan with West Green House and Christoph in Maxwell Davies Kommilitonen! with Welsh National Youth Opera. Chorus work has included Glyndebourne Festival Opera and Wexford Festival Opera. Future engagements include Tybalt Romeo and Juliet with the studio of Opéra de Lyon. Equally comfortable on the concert platform, Andrew has featured as a soloist in works including Handel Messiah, Bach Easter Oratorio, CPE Bach Magnificat, Mozart Requiem, Mendelssohn Elijah, Rossini Petite Messe Solennelle, Verdi Requiem, Puccini Messa di Gloria and Britten Saint Nicholas. Engagements have included an Opera Highlights concert with the WNO Orchestra, conducted by Carlo Rizzi, at BBC Hoddinot Hall, Vaughan Williams Serenade to Music with the City of Birmingham Symphony Orchestra at Birmingham Symphony Hall, broadcast live on BBC Radio 3, and highlights from Purcell The Fairy Queen, conducted by Nicholas McGegan, also with the CBSO. ​​Edmund grew up in London and began singing as a chorister at the London Oratory. He read aerospace engineering alongside a choral scholarship at Bristol University and studied singing with Angela Hickey. He received a scholarship to the Royal Academy of Music where he studied with Mark Wildman and Iain Ledingham supported by the Josephine Baker trust. He was a 2017/18 National Opera Studio young artist as part of the Glyndebourne New Generation Programme. Edmund was a member of the Glyndebourne Chorus in 2016 and 2017, covering Masetto Don Giovanni for the 2016 tour and playing Lakai Ariadne auf Naxos in the 2017 festival. Operatic work for other companies has included Mozart’s Figaro, Don Alfonso Cosi fan Tutte, Dandini La Cenerentola, and most recently Eddy in Turnage's Greek. British/Australian soprano Laura Wolk-Lewanowicz grew up in Australia, with initial studies at the Canberra School of Music, followed by the Australian Opera Studio, and then ENO's Opera Works in London. Recent highlights include performing the Soprano Solo in Verdi's Requiem at Dartington Hall in August 2018, as well as being part of the Merry Opera Company's 12-singer staged version in 2017. Operatic roles include Lady Macbeth, Macbeth; Tosca; Aida; Amelia, Un ballo in maschera; Santuzza, Cavalleria Rusticana; Donna Anna, Don Giovanni; Madama Butterfly; Miss Jessel (The Turn of the Screw). 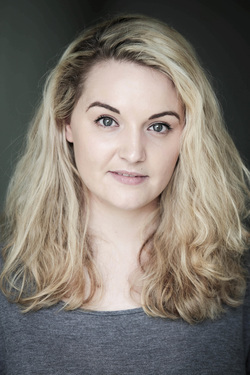 Originally from Leeds, Beth studies with Dinah Harris and is currently a Young Artist at the National Opera studio as well as being a 2018/19 young artist at Opera Nationale de Lyon where she will perform the role of Penelope in Monteverdi's Il Ritorno d'Ulysse on Patria. 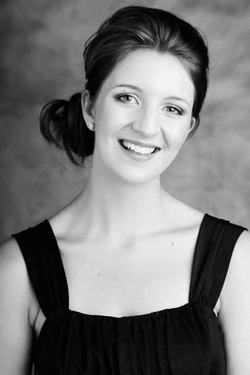 Beth has recently graduated from the International Opera Course at the Royal College of Music. Roles include: Dorabella (Mozart's Cosi Fan tutte), Ella (Huw Watkin's in the locked room), Dido (Purcell's Dido and Aeneas), Hermia (Britten's A Midsummer Night's Dream), Lapak/Wood[pecker/Grasshopper (Janacek's The Cunning Little Vixen), Rosimonda (Handel's Faramondo), Maurya (Vaughan Williams' Riders to the sea), Nancy (Britten's Albert Herring), La zia Principessa (Puccini's Suor Angelica) and stewardess (Dove's Flight). Oratorio experience includes Verdi's Requiem, Mozart's Requiem, Mendelssohn's Elijah, Elgar's The Music Makers, Rossini's Petite Messe Solonnelle, Handel's Messiah and Pergolesi's Stabat Mater. Beth is generously supported by Commander & the late Mrs Vigrass. Edward learned singing at Winchester College and later at Magdalen College, Oxford, where he was a choral and academic scholar under Bill Ives. As a singer performs regularly with the Oxford Clerks close harmony group, as well as the Blenheim Singers and Holst Singers. He particularly enjoys the English song and German lieder repertoires. He works in finance in London and has recently become a father. Emily Rose Wenman is an operatic and concert soprano, studying under acclaimed soprano Nuccia Focile. Recent concert highlights include performances of Mozart’s Great Mass in C Minor, Bach’s Mass in B Minor, Mozart's Requiem and Haydn's Nelson Mass with The Academy of St Martin-in-the-Fields, Verdi's Requiem, Mozart's Requiem and Bach's Magnificat at Gloucester Cathedral, Mozart's Requiem, Fauré's Requiem and Poulenc's Gloria at Llandaff Cathedral, Handel’s Messiah and Haydn's Mass in Time of War with Gwent Bach Society, and Bach’s St Matthew Passion with Monmouth Choral Society. Emily has performed as a soloist on BBC Radio 3, including the première of Mark Bowden's We Have Found a Better Land. Opera roles include the title role in Cendrillon, Susanna (Le Nozze di Figaro), Cathleen (Riders to the Sea), Anne Trulove (The Rake's Progress), First Lady (The Magic Flute), and Anna in scenes from Mark-Anthony Turnage's Anna Nicole with Music Theatre Wales. Emily’s passion for choral music was nurtured through scholarships with the Chapel Choir of King’s College London and the BBC National Chorus of Wales - with whom she has performed in engagements including the Dr Who Symphonic Spectular arena tour, and as the soprano soloist in the première of Welsh composer Mark Bowden’s We Have Found a Better Land, broadcast on BBC Radio 3. Emily was the inaugural Soprano 1 Fellow at St Martin-in-the-Fields, where she now sings regularly as a member of St Martin’s Voices, and she is also a Principal Soprano with Blossom Street and the quartet at St Pancras Parish Church, home to the London Festival of Contemporary Church Music. Upcoming engagements include her debut as Carolina in Cimarosa'sThe Secret Marriage with Hampstead Garden Opera. Currently studying with Elizabeth Ritchie at the Royal Academy of Music, Jocelyn completed a Masters in Advanced Musical Studies (Performance) at Royal Holloway. Previously having won the Sir Geraint Evans award, she completed a choral scholarship with St Martin-in-the-Fields and sung as part of the London Symphony Chorus at The Barbican. She has sung with the English Baroque Choir under the direction of Jeremy Jackman, briefly with the Bach Choir under David Hill, and has enjoyed singing with Howard Williams after an introduction by Dame Emma Kirkby, who continues to take an interest in Jocelyn's musical progress. As a member of the Vasari Singers under Jeremy Backhouse, she has performed solos in Canterbury Cathedral, St Paul's Knightsbridge, and Douai Abbey in Berkshire, as well as in the soprano soloist role on their recording of Gabriel Jackson's Requiem which reached No. 5 in the Specialist Classical Charts. She featured on their 2014 disc, singing the well-known solo line in Allegri's Miserere, and recently took part in an unusual project featuring renaissance choral music with reggae backing tracks. More recently Jocelyn embarked on a three week American tour, singing in Charleston, York, and Savannah, with a programme including Renaissance French repertoire and English Song. She regularly travels around the country performing with choirs and orchestras. As well as possessing a pure tone and ringing flexibility, Jocelyn has an engaging and memorable platform presence which makes her enjoyable to watch as well as to listen to. She has performed professionally for the last seven years, and enjoys Baroque music, as well as light opera. lieder, melodie, and English Song. She can be contacted via her website, www.jocelynsomerville.com. Kieran Seymour, originally from Suffolk, began his singing career at the age of 6 when he became a chorister at both the civic church in Ipswich and also at Ipswich School. He studied with Soprano Jane Bagnall from this age up until his voice broke, and eventually studied with Tenor Richard Edgar Wilson until he left Suffolk to attend Canterbury Christ Church University. Whilst in Canterbury, he studied with both Philip Eve and Jonathan Veira for both his Bachelors and Masters degrees respectively. As his voice progressed, he enjoyed solos opportunities as they arose, firstly at Snape Maltings concert hall where he sang as the Tenor soloist for Handel's Messiah at the age of 15. Since then as his voice both matured and lowered, he regularly appears as a Bass soloist for Handel's Messiah, along with other alumni each December. His repertoire expands across the eras, including Bach's St John Passion as Jesus, Mozart's, Brahms, Faure's and Durufle's Requiems, many of Haydn and Mozart's Masses, Puccini's Messa Di Gloria and Mendelssohn's Elijah. As his voices continues to progress, he aims to utilise it as much as possible with regular work, both building his repertoire, contacts and vocal maturity. Tom is a Tenor from Hartlepool in the North-East of England, currently in his penultimate year at the Royal Welsh College of Music and Drama studying with Adrian Thompson and Ingrid Surgenor on the MA Opera course. During his studies Tom has taken part in masterclasses with Susan Bullock, Simon Keenlyside, John Fisher, Kathryn Harries, Michael Pollock and Simon Lepper. This summer Tom made his debut at Glyndebourne Festival opera as one of the Lehrbuben in Sir David McVicars award winning production of Die Meistersinger von Nürnberg. Operatic roles at RWCMD include The Mayor and Albert* (Albert Herring) as well as 1st Priest and Armed Man* (The Magic Flute), Schoolmaster (Cunning Little Vixen), Fenton (Falstaff conducted by Carlo Rizzi. In Opera scenes Tom has performed Lionel (Martha), Idomeneo (Idomeneo), Jaquino (Fidelio) and Nemorino (L'elisir d'amore). External operatic engagements include Ruiz (Il Trovatore), Flavio (Norma) and Spärlich (Die lustigen weiber von windsor). A keen recitalist Tom is proud to be an Artist on the Yehudi Menuhin Live Music Now scheme. Tom is generously supported by The Arts Council of Wales, Leverhulme Trust, Tillet Trust and a Jenkin-Philips Scholarship. Born in London, soprano Eleanor Dann is currently studying with Benjamin Williamson and Susan young. Eleanor gained a BA (Hons) degree in Music from the University of York. After graduating in 2014, she spent a year on the prestigious Genesis Sixteen programme run by Harry Christophers and Eamonn Dougan. Eleanor featured on I Fagiolini's 2016 disc Amuse-Bouche, singing Daniel-Lesur's "Le cantique de cantiques". She has recently completed a year singing as a Choral Scholar with Sloane Square Choral Society and All Saints Church, Fulham respectively. In October she will begin a year as a Choral Scholar of St Martin-in-the-Fields. Eleanor has performed a broad range of concert repertoire such as Mozart's 'Requiem in D Minor', Barber's Knoxville: Summer of 1915 and the world premiere of Nativity by Peter Foggitt. Over the past 5 years, Eleanor has built-up a varied operatic repertoire having sung roles such as Countess Almaviva (Le nozze di Figaro) and Galatea (Acis and Galatea). This year she has sung the roles of Miss Wordsworth (Albert Herring) and La Grande-Prêtresse de Diane (Hippolyte et Aricie). In autumn 2016 she is looking forward to singing Chorus in The Magic Flute with Hampstead Garden Opera. ​This summer Eleanor has enjoyed singing on a choir tour of Ireland and also at the St Endellion Summer Festival in Cornwall. She recently returned from the Charles Wood Summer Festival of Music & Summer School in Armagh, Northern Ireland where she led the soprano section of the Charles Wood Singers. Eleanor is looking to continue her vocal studies at postgraduate level and will later this year be auditioning for conservatoires in London.